B737-200 Air China - wing exit walkway (escape) markings in 1988? 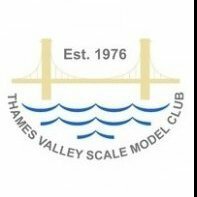 Welsh Models 1/72 Vickers Vanguard? In 1/144 the Welsh Models HP Herald has been available for several years. Multi-media kit vac formed, resin and white metal parts. It goes together really well, I shortened mine to a 100. The Welsh Hermes (SL 143P) was released just this month in Silver City markings - I have yet to see this kit. oops! Yes there was a 1/72 conversion on the Cardiff Stand. It was produced by Hilton Jones who is the ultimate kit basher. I forget what bits of which aircraft went into the conversion but I remember that the engines were scratch built using plastic card and Milliput. I have built the Sasquatch kit, it was so good it nearly flew .... against the wall. Still we got there in the end and it looks ok for one of my efforts of 10 years ago. I was speaking with Densil of Welsh Models just two weeks ago and he is still working on his 1/144 DHC-7. No specific timescale as yet.